A pom pom anemone (Liponema brevicornis) atop a small ledge. 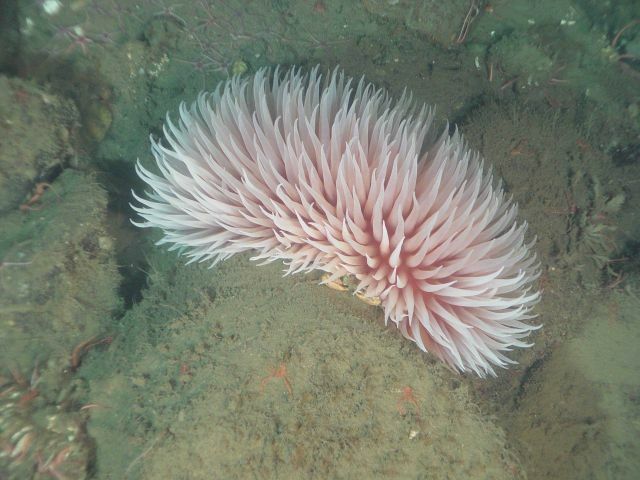 This is a very large, pink anemone that looks just like the common name, a pom pom. Unlike other anemones, its mouth (oral disk) is underneath it and the anemone is not attached. Instead, this anemone is like a tumbleweed.